Here with us, you’re in expert hands! Enjoy your fertility holiday at our “Papileon” holiday home and benefit from the latest therapies at the Kinderwunsch Institut in Dobl near Graz. Simply relax – and we’ll take care of the rest! Getting pregnant with ease: this is the key idea behind our special range of services which combine fertility treatment with a relaxing holiday. 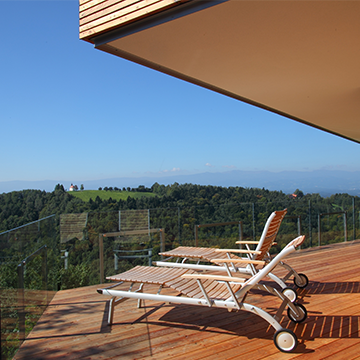 Enjoy the beauty of southern Styria – one of the most important wine-growing regions in the world – and leave the stress of everyday life behind at our “Papileon” holiday home. 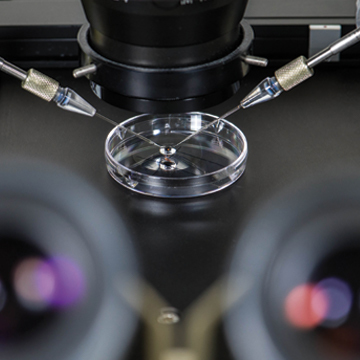 With the Kinderwunsch Institut you have a world-class centre for clinical embryology and reproductive medicine at your side and can rely on our decades of experience as well as the very latest therapies. Located only 30 minutes away from Graz, Austria’s second largest city, and surrounded by countless opportunities for pursuing leisure activities, by restaurants offering first-class cuisine and by breathtaking countryside, the Papileon offers seclusion, tranquillity and undisturbed privacy as well as everything which makes the hearts of nature lovers, gourmets, sports enthusiasts, horse lovers or golfers beat faster. The open architecture and luxurious furnishings of the holiday home provide the ideal setting for relaxation. So unwind and feel as free as a butterfly, far from the hustle and bustle of everyday life! 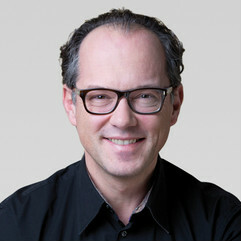 As one of the world’s leading centres for clinical embryology and reproductive medicine, the Kinderwunsch Institut offers a variety of medical services to make your dream of having a baby come true. 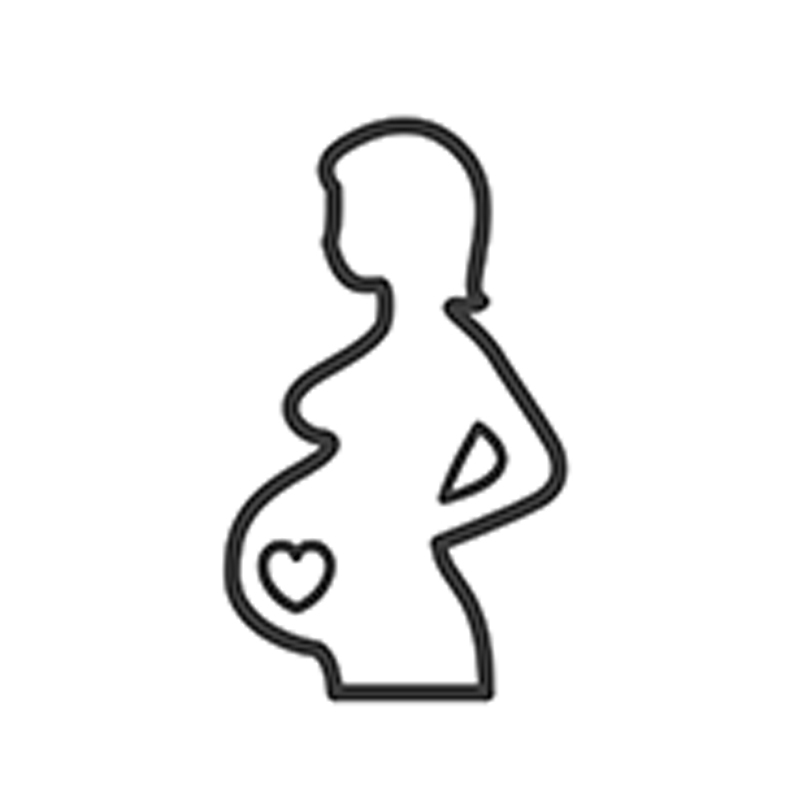 The chances of becoming pregnant are greater when you are away from the hecticness and stress of everyday life. We have put together a relaxing holiday programme that combines culture, fun and sightseeing. Our heartfelt desire is to do everything we can so that you can realise your dream of starting a family – every hour and every minute of the day. We achieve this through the sensitive advice and treatment you receive from our expertly trained team of specialists. 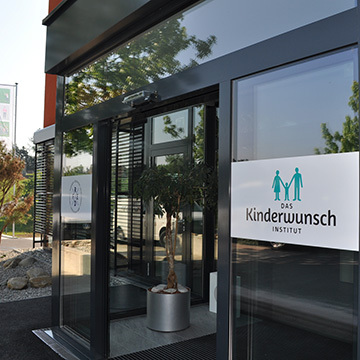 The Kinderwunsch Institut is also certified as an ova bank and a sperm bank, and has its own research center. Fertility treatment and a dream holiday all in one – and individually tailored just for you!